British swimmers secured a total of six golds on day one of the LEN European Masters Swimming Championships 2018. And it was the women who dominated as they claimed five golds, two silvers and three bronze medals. 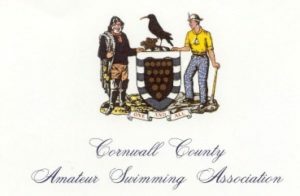 Jane Asher, of Kings Cormorants, was the only swimmer in the 85-89 age group as she secured the first of the women’s medals, clocking an impressive time of 15:58.54. Another gold medal came from Joan Edwards, of Gateshead and Twickenham, who swam in the 60-64 age group and touched home in 11:01.73. Edwards was joined on the podium by team-mate Anne Bourne, of Camp Hill Edwardians Swimming Club, who clocked 11:41.43 to take the bronze. The silver medal went to Italy’s Cristina Tarantino with a time of 11:13.05. Nicola Latty, of Holywell Swimming Club, also topped the podium as she won the 45-49 age group in 10:15.38. Her closest opponent was Holland’s Karin Stein, who clocked 10:28.51, while Kathy Van Lindt, of Belgium, took the bronze in 10:38.47. The 35-39 age group saw Emma Wills, of York City Baths Club, take the title in a time of 9:44.42. In the same race, Italian Gaia Peracca took silver (9:54.84) and Maren Eckenhoff, of Germany, secured the bronze (10:08.37). Lauren Willcox, from Saxon Crown Lewisham Swimming Club, won Britain’s fifth gold medal with her time of 9:36.55 in the 30-34 age group. Silver was taken by Hungary’s Viktoria Gelfoldi, who touched in 9:40.23, and the bronze went to Kirstina Kirchner, of Switzerland, who clocked 9:54.64. In the 80-84 age group, Jenny Ball, of Camp Hill Edwardians Swimming Club, clocked 17:21.64 to take the silver medal behind Holland’s Lottie Geurts who won in a time of 16:52.59. The 40-45 age group saw a British two-three finish. 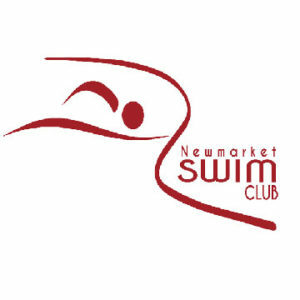 Teri Edwards, of Portsmouth Northsea Swimming Club, clocked 10:01.27 just ahead of Jessica Wooddisse, of Stroud Masters Swimming Club, who touched in 10:03.33. The gold medal went to Annett Von Rekowski, of Germany, who finished in 9:57.19. Kelly McIntosh, of Silver City Blues, secured a bronze medal in the 25-29 age group with her time of 10:28.10. Pauline Vanet, of France, finished almost 45 seconds ahead of the rest of the field with her time of 9:28.23. Her closest competition, Alexandra Raus of Austria, clocked 10.11.36. Thomas Craig won a battle for the top spot on the podium in the 25-29 age group with a time of 8:51.75. The Bridgend County Swim Squad swimmer was in second place for the entirety of the race and just passed Arkadiusz Aptewicz, of Poland, (8:53.23) on the final leg. The bronze medal went to Giacomo Rigon, of Italy, in a time of 9:21.54. Steven Folsom, of Teddington Swim Club, clocked 11:28.35 to win silver in the same event in the 65-69 age group. He finished behind Italy’s Giannantonio Scaramel who touched in 11:04.09 and ahead of Miklos Borzi, of Hungary, who finished third in 12:15.66. In the 50-54 age group, Peter Dixon of Tower Hamlets secured a bronze medal clocking 9:20.99, 31.77 seconds behind race leader Fabio Calmasini of Italy (8:49.22). Calmasini’s Italian team mate, Dino Schorn, touched in 9:10.38 to clinch the silver medal. 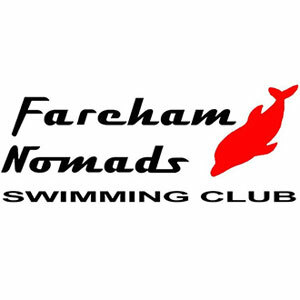 The 30-34 age group saw John Wood, of Berkhamsted Swimming Club, also win a bronze medal in a time of 9:25.71 as he finished behind an Italian one-two. Lorenzo Giovanni clocked 8:55.21 to pip compatriot Marco Urbani (8:55.70) to the gold. 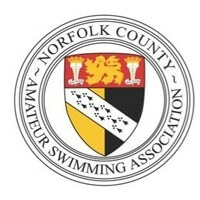 Keep up to date with all the swimming action here.